The CON-TROL-CURE® UVX RADIOMETER's unique simplicity makes its operation as easy and fool-proof as possible. Simply plug in 1 of the 3 remote interchangeable probes (254nm, 300nm, or 365nm), set the EXTERNAL ZERO ADJUST to read 00.0 on the LCD, and you're ready to measure. The probe is then placed in the UV environment and the intensity reading will be shown on the display. 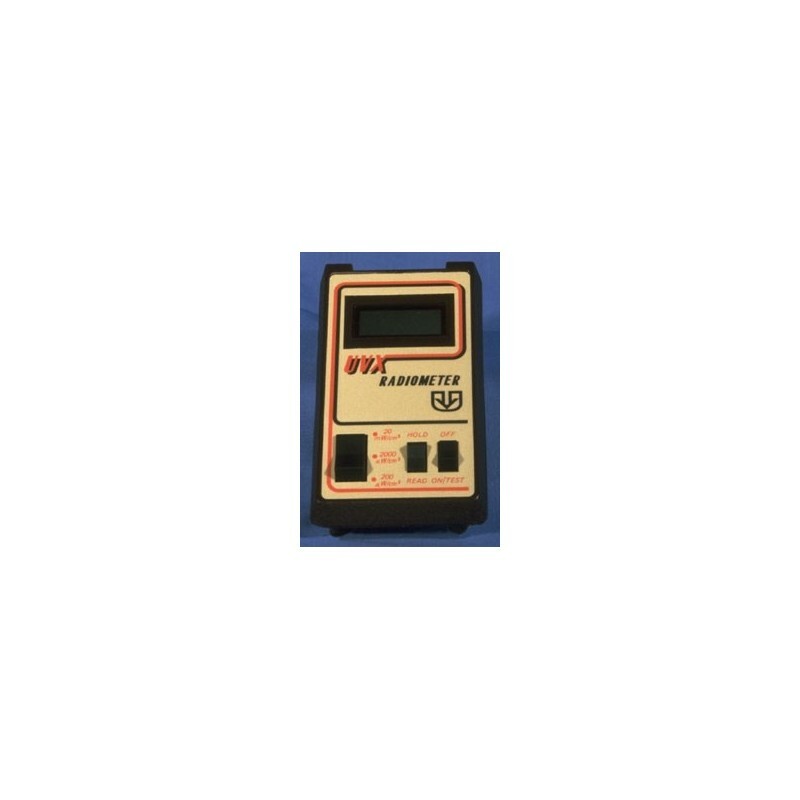 It continuously monitors its own power supply and informs when its voltage is too low for accurate readings. A 3-foot shielded cable allows the placement of the probe in hard-to-reach locations. Full exposure is not necessary as accurate readings are still possible because each probe's cosine sensitivity is nearly perfect. Each sensor has a tripod mount which is built into the bottom of the probe. All 3 probes are calibrated for measurement in their own UV band. Calibrations are accurate to +/-2% and traceable to the National Bureau of Standards. 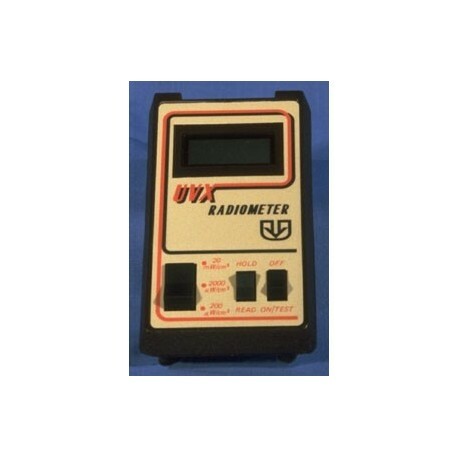 Radiometer (M007-043) sold separately. Probes (M007-044, 045 & 046) must be purchased individually. NOTE: BECAUSE OF ITS HEAT SENSITIVITY, THE UVX RADIOMETER IS NOT RECOMMENDED FOR USE WITH HIGH INTENSITY UV CURING SYSTEMS.